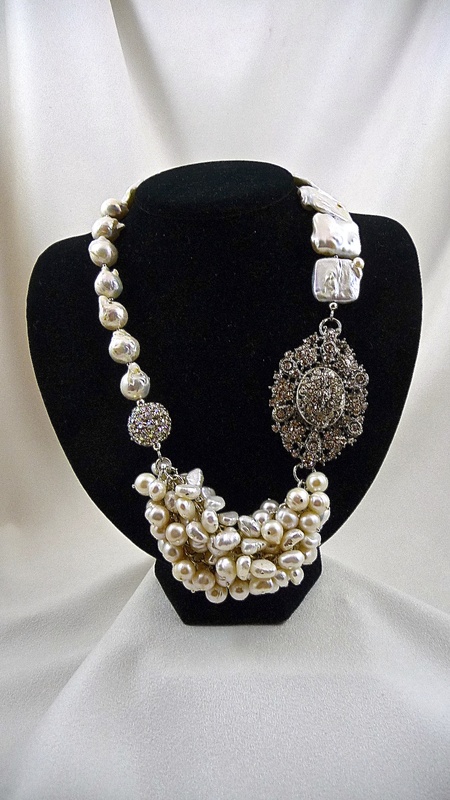 This spectacular necklace is designed with Fresh Water Pearls, and a stunning vintage broach as a focal piece. The clasp and all findings are of Sterling Silver. It can be consider for Bridal wear or with that little black dress.